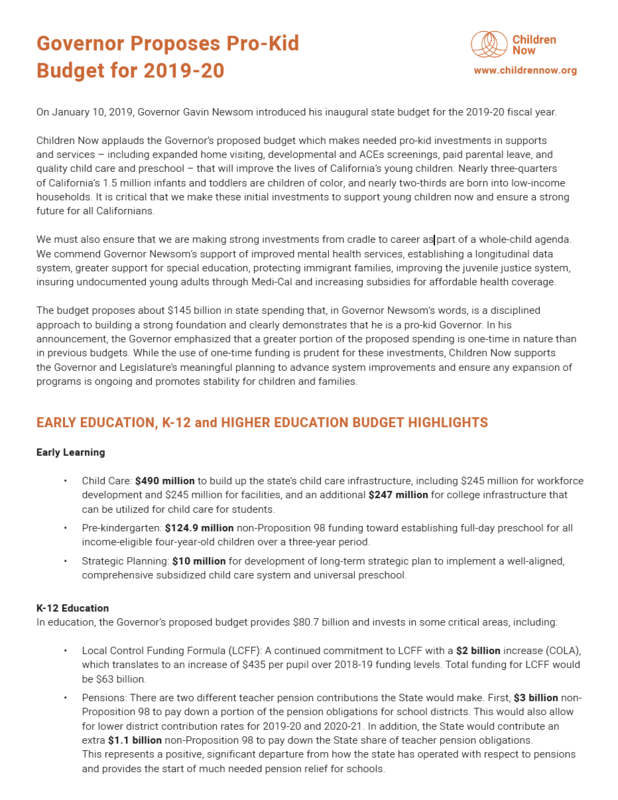 Children Now applauds the Governor’s proposed budget which makes needed pro-kid investments in supports and services – including expanded home visiting, developmental and ACEs screenings, paid parental leave, and quality child care and preschool – that will improve the lives of California’s young children. Nearly three-quarters of California’s 1.5 million infants and toddlers are children of color, and nearly two-thirds are born into low-income households. It is critical that we make these initial investments to support young children now and ensure a strong future for all Californians.